Shanghai native Charles Kao and two North American scientists were jointly awarded the 2009 Nobel Prize for physics yesterday. Kao, 75, a pioneer in fiber optic communications, along with two scientists who figured out how to turn light into electronic signals - work that paved the way for the Internet age - won the $1.4 million prize. Kao, who is a US and British citizen, won half the prize for his research that led to a breakthrough in fiber optics in determining how to transmit light over long distances via optical glass fibers as thin as a human hair. Kao, who is retired, has been based in Hong Kong after teaching at the Chinese University of Hong Kong. Professor Kenneth Young, pro vice-chancellor of the Chinese University of Hong Kong, quoted Kao's response to receiving the Nobel Prize: "I am absolutely speechless and never expected such an honor. The Nobel has never been given out for applied sciences before. This is very, very unexpected." Hong Kong Chief Executive Donald Tsang said he was pleased to learn that Kao was awarded the Nobel Prize in physics. "The people of Hong Kong and I extend our heartfelt congratulations to Professor Kao on receiving the honor," Tsang said. "An outstanding scientist, Professor Kao is also a true gentleman and a committed educator. We are immensely proud to have such an eminent figure in Hong Kong," Tsang said. 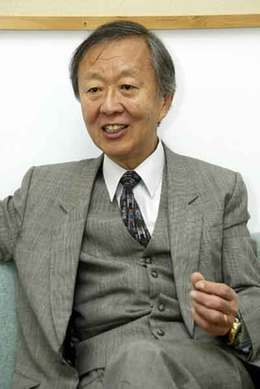 Kao was vice-chancellor of the Chinese University of Hong Kong from 1987 until 1996. Willard Boyle, a Canadian American, and George Smith of the United States shared the other half of the prize. Boyle and Smith were cited for inventing the first successful imaging technology using a digital sensor. Boyle, 85, and Smith, 79, also are retired. "This year's Nobel Prize in physics is awarded for two scientific achievements that have helped to shape the foundations of today's networked societies," the Nobel Committee for Physics at the Royal Swedish Academy of Sciences said in a statement. "They have created many practical innovations for everyday life and provided new tools for scientific exploration," the statement read. Kao's discovery in 1966 formed the basis for the production of the first "ultra-pure" fiber only four years later, setting the stage for the communication society of today. "What the wheel did for transport, the optical fiber did for telecommunications," said Richard Epworth, who worked with Kao at Standard Telecommunications Laboratories in Harlow, England, in the 1960s. Low-gloss glass fibers facilitate global broadband communication such as the Internet, the international prize committee said. "Text, music, images and video can be transferred around the globe in a split second," the committee said. A large portion of Internet traffic is made up of digital images, facilitated by a breakthrough by Boyle and Smith in 1969, when they invented the first successful imaging technology using a digital sensor, or charge-coupled device (CCD). The CCD converts light into electrical signals. CCD technology is also used in many medical applications, such as imaging the inside of the human body. Boyle said he was surprised at being named a winner yesterday as he spoke to reporters in Stockholm. "Is this real?" asked the scientist. Being awarded the Nobel Prize is "really quite exciting", he added. Boyle, in a telephone call to the Royal Swedish Academy of Sciences, said he often witnessed practical applications of his work. Most digital cameras today use the more efficient CMOS sensor, although the CCD sensor is still used for advanced photography. One of the advanced uses of the CCD was in the Mars probe. "When the Mars probe was on the surface of Mars ... it used a camera like ours," Boyle said. "It would not have been possible without our invention." An avid sailor, Smith recently completed a long-term cruise around the globe, taking 17 years to achieve what one of his light signals could perform in a second. "I feel very elated," he said by telephone yesterday from his home in Barnegat, New Jersey. Asked what he would do with the prize money, Smith said: "I'm 79 years old right now. And I don't think my life is going to change much. I don't even need a bigger boat."